Calotropis gigantea fiber (CGF) is obtained from the fruit of C. procera, and has waxy coating and large lumens. 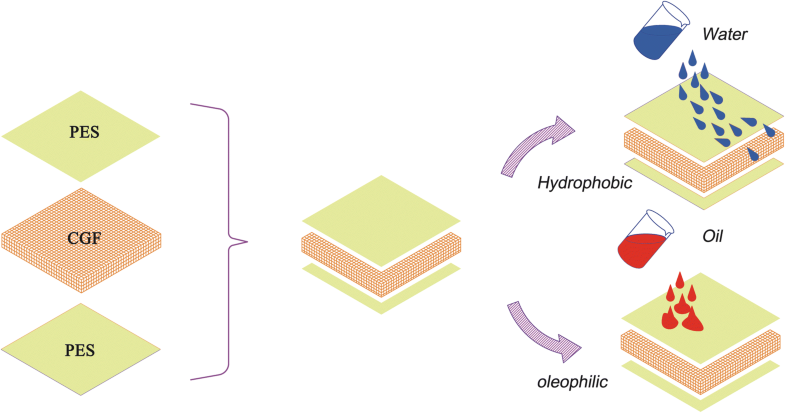 Owing to inherent hydrophobic–oleophilic property, CGF-based materials have been designed and developed into one kind of green oil sorbents. To facilitate its practical applications, polyether sulfone (PES) assisted shape construction of CGF was proposed here for preparing a sustainable and reusable oil sorbent by a facile phase inversion method. The resulting PES/CGF showed a stable sandwich structure, in which the fibers were spread evenly between two thin PES layers. By combining the advantages of PES and CGF, the resulting material can be not only processed into different shapes, but also has the potential to show high oil sorption towards to a variety of oils (including organic solvents). After a systematic optimization, PES/CGF exhibits superior oil-absorbing performance when compared with pure PES, with the sorption capacity of 4.26–9.24 g/g within a very short time. Besides, PES/CGF shows good oil/water selectivity and the changes in temperature can produce different effects on different oils. After ten cycles, PES/CGF has still higher oil-absorbing capacity, an indication of its good stability and excellent reusability. Therefore, PES/CGF has been found to be a sustainable, reusable, economical and environmentally friendly oil sorbent, and may show great potential for collecting oils in oily wastewater in the future. The online version of this article ( https://doi.org/10.1007/s10570-019-02356-6) contains supplementary material, which is available to authorized users. This work was jointly supported by the National Natural Science Foundation of China (No. 21477135), the Gansu Provincial Natural Science Foundation of China (No. 17JR5RA205), the Fundamental Research Funds for the Central Universities (No. lzujbky-2017-209), and the Hui-Chun Chin and Tsung-Dao Lee Chinese Undergraduate Research Endowment (No. LZU-JZH2003). 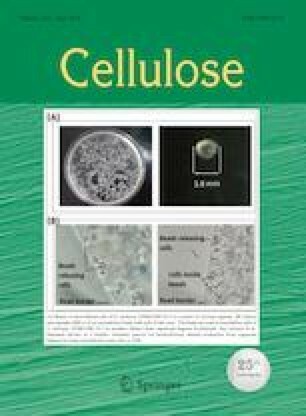 In addition, the authors were grateful for the support from Huimin Hu (Shanghai Magic Tree Biotechnology Co., Ltd., Shanghai, China) for providing the Calotropis gigantea fiber.